I recently got the chance to go on a crocation. 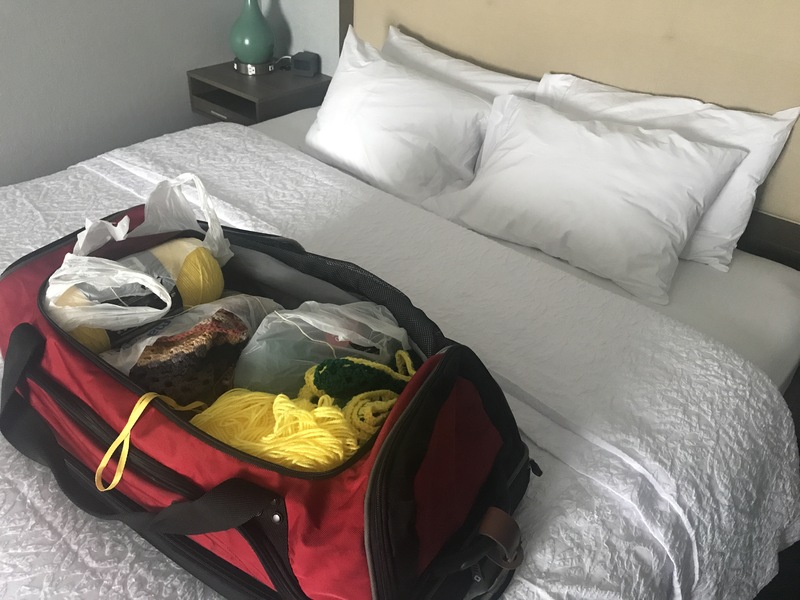 I had two whole days in a hotel room with a suitcase of yarn and no interruptions! Shout out to the Hampton Inn in Dearborn, Michigan. Our room was huge. The hotel was so nice and quiet and clean. There was always fresh coffee and breakfast was pretty good. Now on to blanket talk! 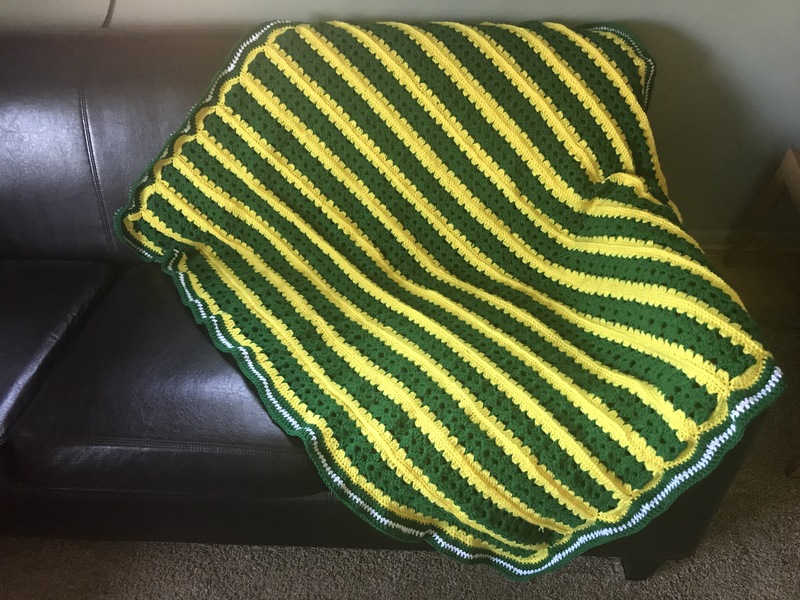 This blanket was done in Oregon Ducks colors. It’s a gift for my inlaws. I’ll be honest, green and yellow isn’t a color combination that I would normally use but it is the school’s colors. It should look nice in their den with all the rest of their Duck decor. Like every blanket that I’ve made this year it was made with love. I used a mile a minute pattern. The first row of the border was the yellow to smooth everything out. Next I did a row of dc in green. The third row was in white and hdc stitch. The final row of the border was green dc.